It’s as simple as that. I say this all the time when talking to hiring managers about bringing new employees on board. Seriously – All. The. Time. For a veteran manager, it’s easy to take for granted the little things that just come with time. But for a new employee walking in the front door on his first day, he just doesn’t know what those little things are. HR, or whoever owns the onboarding process, will naturally cover some items. It’s quite likely, however, that these items will be discussed at a fairly high level since many times Orientation attendees make up a melting pot of roles, departments, and needs. It’s critical for the hiring manager to be a key stakeholder in this process. Of course, in many cases, the hiring manager is the go-to person for coordinating much of the on-the-job training that will help the new employee get started in his role; whether the manager is delivering the training, or if he is delegating that to another person on the team. To supplement that on-the-job training, I’ve begun arming new employees with a list of questions to ask their manager. Many of these are very basic (yet often overlooked) questions. They also help the new employee find his stride and immerse himself into team culture. Is there someone on the team who could be my guide/mentor during my first few weeks? Will I need to order business cards, stationery, etc? How is that done? What conference rooms are nearby? Which ones do we typically use for meetings? How do I reserve a conference room? Who is the “go-to” person in the organization when you really need something done? How do I open an IT ticket if I have an issue? Who is responsible for ordering office supplies for our team? Are there any request guidelines? What is the business travel/expense policy (if applicable)? Where is our team’s meeting place for emergency evacuations? What is your vision for my role…in 3 months? 6 months? One year? Long-term? What projects have highest priority right now? How can I help with those projects? Which departments do we interact with frequently throughout the organization? How do we interact with them? Who will be my primary contacts in those departments? How do you prefer to communicate – email, IM, text, phone, in-person? Who should I add to my IM contact list from other departments? What industry resources will help me learn more about our company and industry? Where does the team like to go for lunch? What time does everyone normally go? Where is the closest printer? Do you have a preference for my work schedule/hours? What is our department dress code? There you go. 20 questions that will be the gateway to faster productivity and open communication for the new employee and his manager. 20 questions to start understanding the team dynamics. 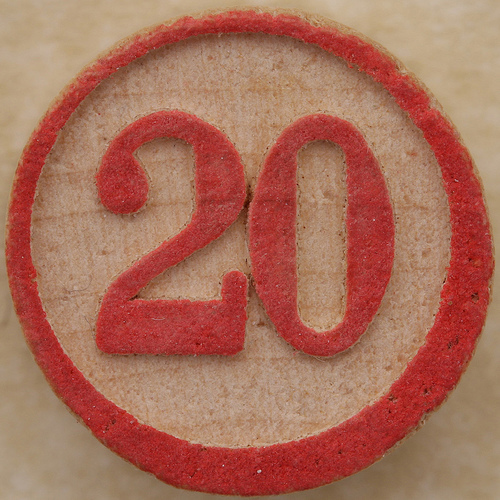 20 questions to learn some of the quirks and nuances every organization undeniably has. 20 questions. Ask ’em. Your turn: What questions do you think a new employee should ask? Do you think different roles warrant different questions? What questions should the manager be asking the new employee? Share your thoughts! i prefer to communicate emails followed up by phone calls and sometimes if need be in person.